This week’s challenge is to make a homemade snack mix. Having homemade snack mix handy may help prevent that mid-afternoon trip to the vending machine or drive-through. Making your own can be less expensive and allows you to customize ingredients. Pick your favorite ingredients from each group. mix and portion into snack size baggies for easy snacking! 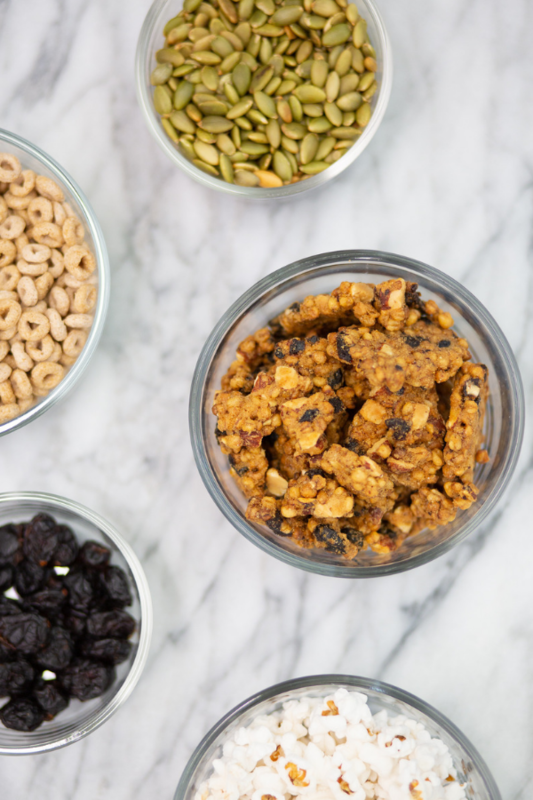 If you’re more of a savory snack person, we think that you’d love these recipes for Savory Curry Coconut Granola and Kellogg’s Crispix® Snack Mix. 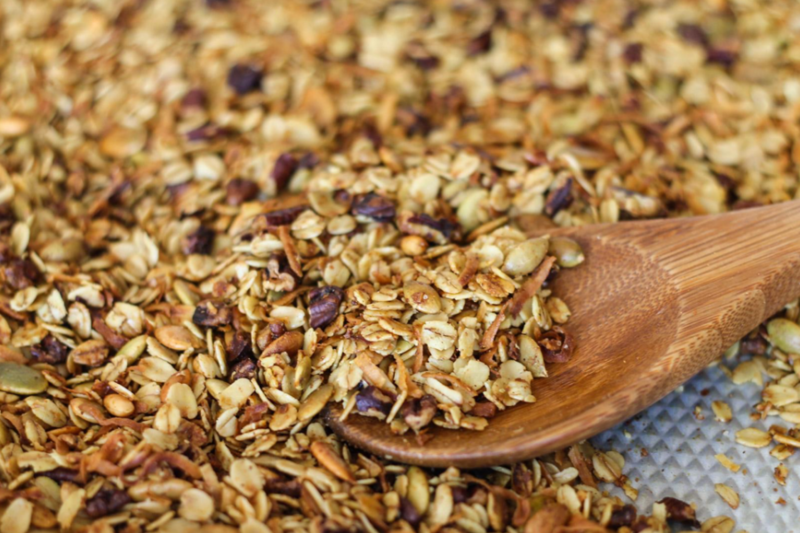 If you have a sweet tooth, try this recipe for Homemade Muesli. 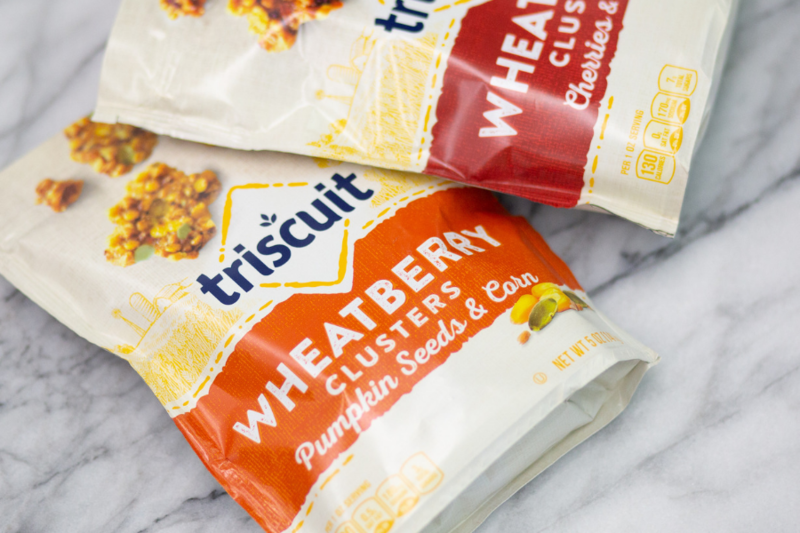 Try new Triscuit Wheat Berry Clusters! Crunchy wheat berries are roasted and clustered together with real, plant-based ingredients like dried fruit, seeds and nuts. Each bite sized cluster is slightly sweet with a lot of crunch. These Wheat Berry Clusters come in three delicious flavors: Cherries and Almonds; Cranberries and Cashews; Pumpkin Seeds and Sweet Corn.